Meet your wardrobe's secret weapon: Politix's new Lewisham blazer. The power of this 2-button blazer is in its versatile yet definitive mid blue shades, soft textured knit design and modern slim cut. Whether you're throwing it on top of Politix's new season tees or Red Label dress shirts, this knit blazer is an effortless winner. 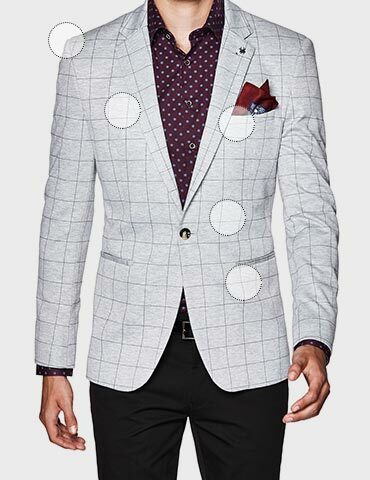 Slicker than your average slim fit, this blazer cut is sharp by design and fresh on functional detail. 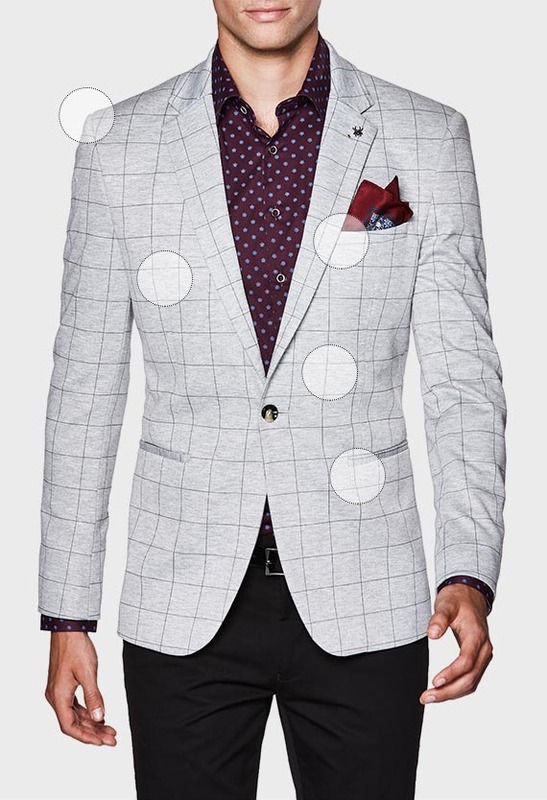 Slim and trim, this blazer fit crafts an essential piece for modern style. Slim cut without looking like a burrito. Politix’s Slim Fit gets it right with a narrower chest and tailored structure for a sharp silhouette. Each blazer style is individually designed to make the most of quality fabrics, so you walk out with a slim blazer that fits comfortably, like a stylish hug. Slimmer across the shoulders and narrow down to the hem, Politix’s Slim Fit brings sharp tailoring to this smart casual essential. Our blazers arrive with their own lapel pin and printed pocket square. Sartorial texture and fun colour, our blazer details add a new level of sharp to your weekend style. Jacket on or off, our blazers always deliver style. Look on the inside to find print and colour emblazoned on the inner lining. There’s handy secret pockets too.